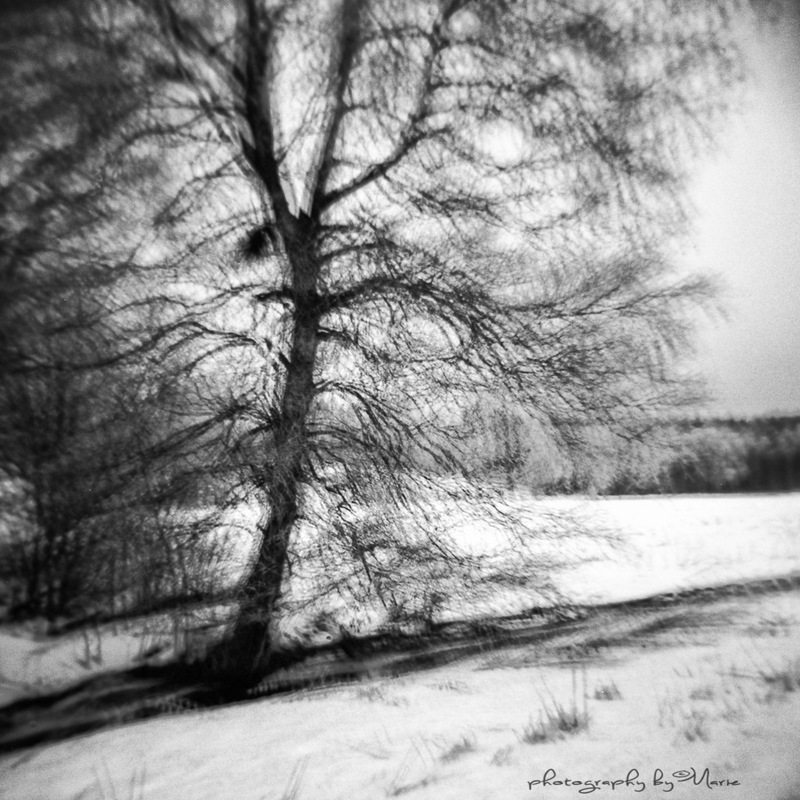 One day about a week ago, I took my little Holga and loaded her with some nice Fuji Acros 100, and looked for some different looking winter trees. This is one of them, looking a bit impressionistic, just by doing some multi exposures, easily done with the Holga. That is a very unique tecnique, the tree looks as though it is shivering in the cold…. Like the texture you’ve created very much. Lovely image!